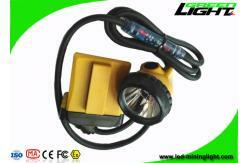 GLC12-A corded-cable cap lamp is a new style of portable and corded mining cap lamp. 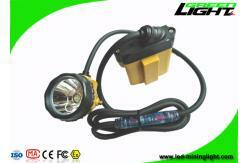 It use 1pcs 3W CREE led as main light, 2pcs SMD leds as the auxiliary lights, and designed with 10.4Ah SAMSUNG battery pack. It has four levels light: Weak - Strong - Auxiliary - SOS. And the cable flashing light with blue, green and red three colors for options. And it is only weight 450g. 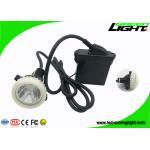 25000lux high beam corded lamp. Four lighting modes: Weak - Strong - Auxiliary - SOS. 10.4Ah big capacity SAMSUNG battery pack. 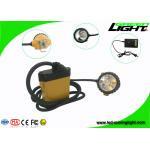 Low power warning function for safety lighting. Aluminum lighting cup with perfect lighting spot. Cable flashing light with blue, green and red three colors for options. 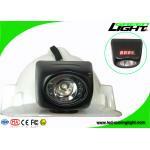 Anti-explosive, flame-resistant, impact-resistant, IP68 water-proof. Widely used in hunting, automobile shipbuilding industries, suitable for oil pipelines, cable interlayer, platform channel, pump house, tunnel project , mountian-climbing,hiking, patrolling, mine, military, police, fire fighting, dockyard and other hazardous locations ect. Green Lighting Electronics Co., Ltd. is specialized in manufacturing superior quality LED miner cap lamps which is located in Shenzhen, China. 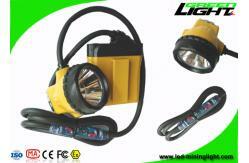 Our factory have rich experience in underground working cap lamps development and production. We also have strong R&D team to satisfy customers different requirements. 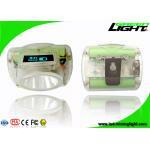 If you have any inquiries, pls fell free to contact us, we will show you our outstanding service and competitive price. Green Lighting assumes to offer most competitive price with good quality and punctual delivery to satisfy our valued customers. Reasonable price, reputation innovation, high-quality service, strict quality control processing make us approved by globle customers.